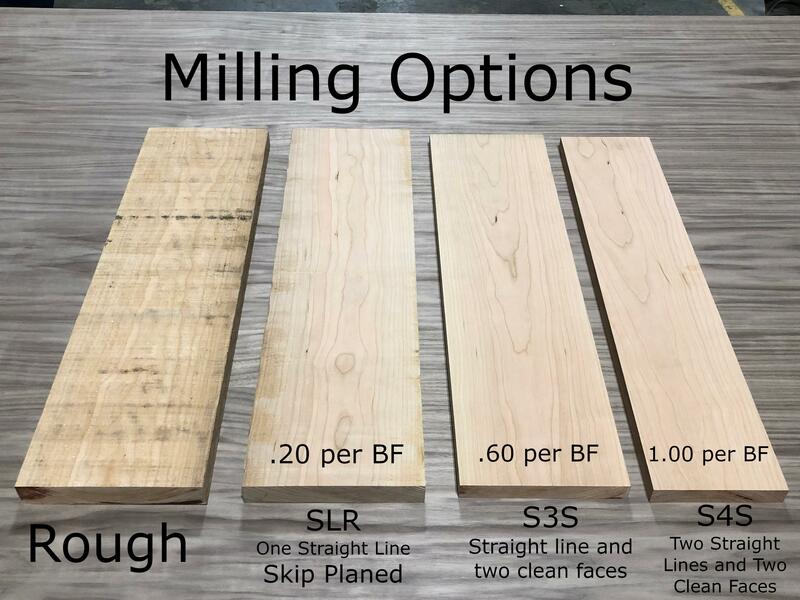 Click HERE for Milling options and pricing. Call for questions on inventory. All prices given are for rough lumber. S2S: Surfaced two sides, add $0.40/bd.ft. S3S: Surface two sides and Straightline rip one edge, add $0.60/bd.ft. S4S: Surface four sides, call for pricing.